Would you like to honor your family, memorialize a loved one, congratulate a graduate, pay tribute to an individual, commemorate a special date, or honor your business? You can do this by purchasing a polished metal nameplate affixed to one aisle arm of an auditorium seat in the soon to be renovated high school. Your purchase of a nameplate helps insure the continued support of Friends of Mascoma to foster educational advancements within the MVRSD. Nameplates are approximately 7/8”x 2-1/2” and you may have two or three lines of engraving. 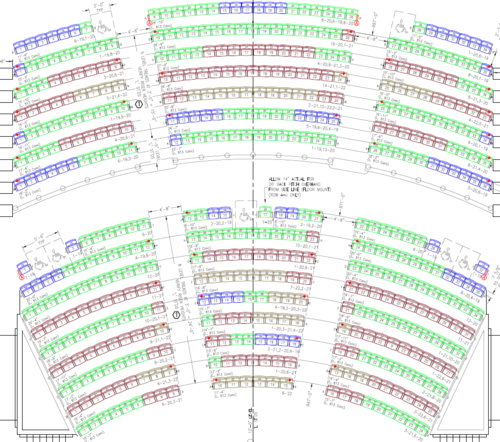 You will receive a letter of appreciation for your generous tax-deductible donation and a seating chart with the exact location of your nameplate. Nameplate locations are assigned on a first come, first serve basis, which means we will start from front to back in each level section. Take a Seat orders are compiled quarterly for nameplate engraving and installation. Thank you to Dutille's Jewelry Design Studio for donating their time to engrave the nameplates! There are approximately 500 seats in the auditorium and nearly 40% of the seats are already sporting an engraved nameplate! Purchase your seats before they are gone! Prefer to mail in your order? A PDF of the order form is available here.